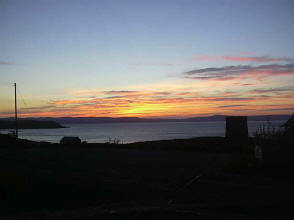 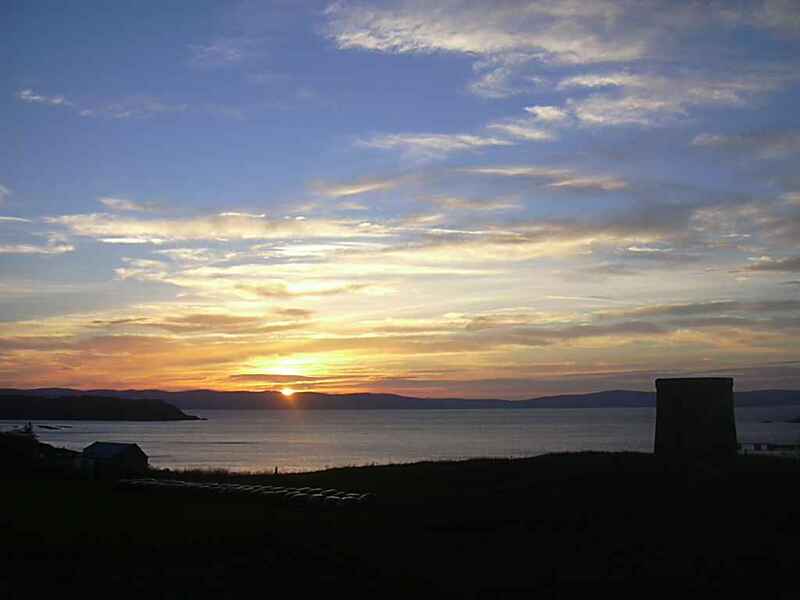 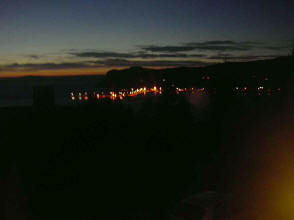 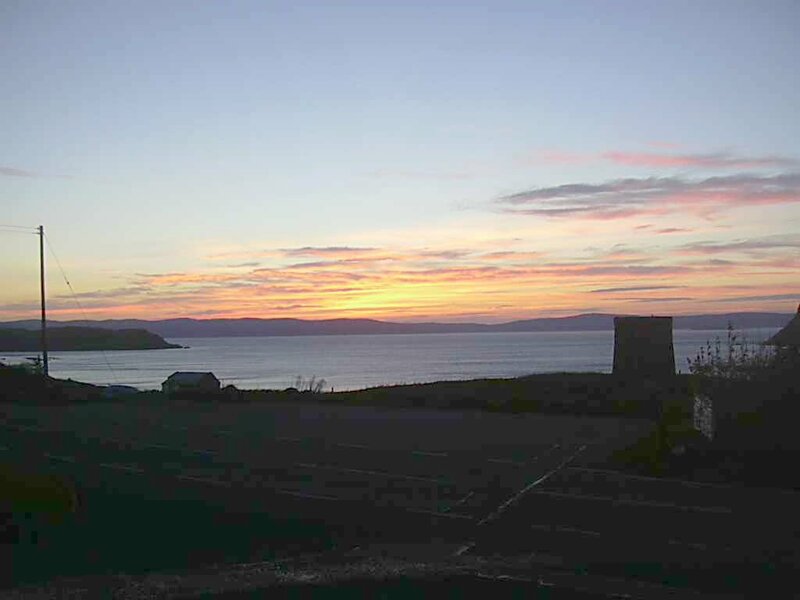 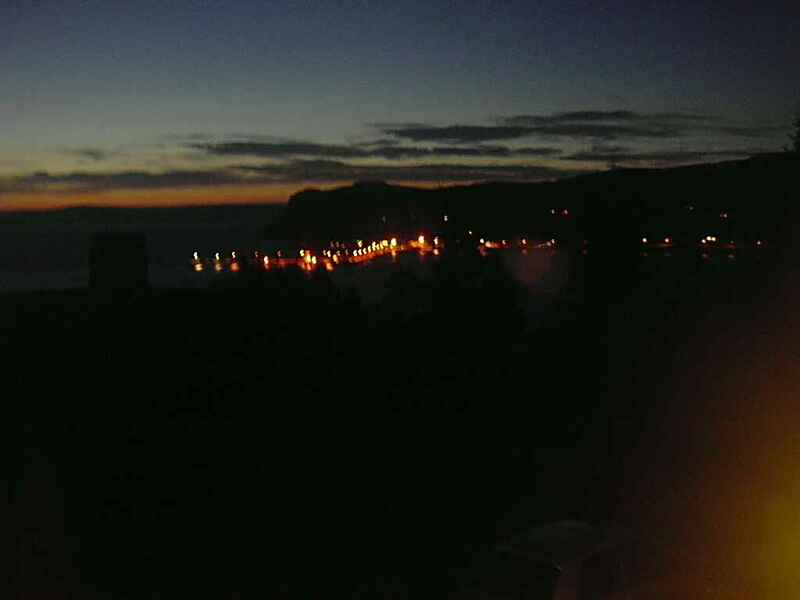 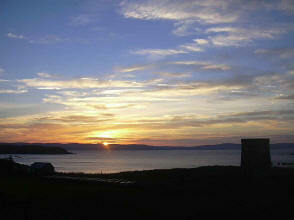 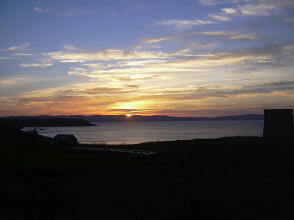 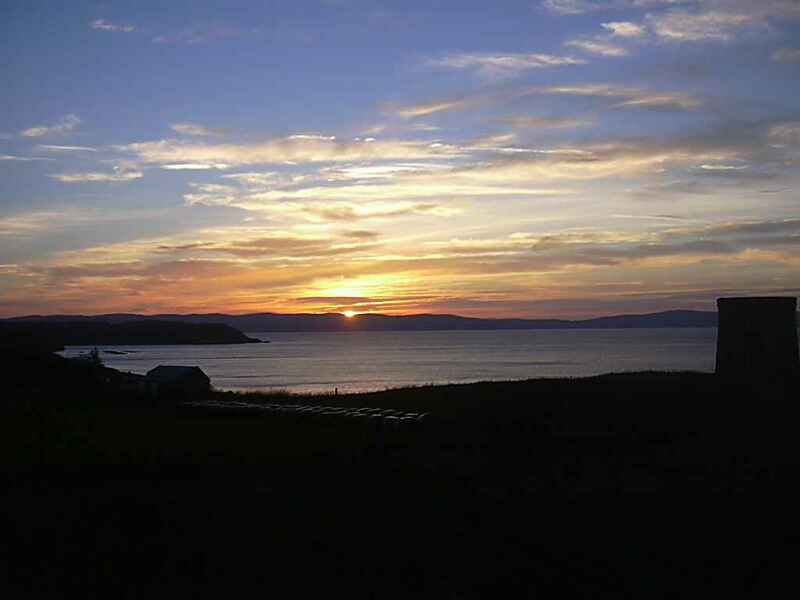 And just arrived in time for a lovely sunset viewed from the Uig Hotel. 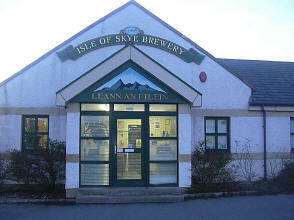 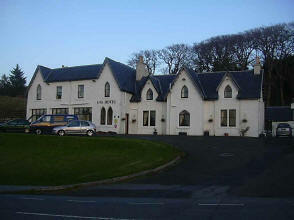 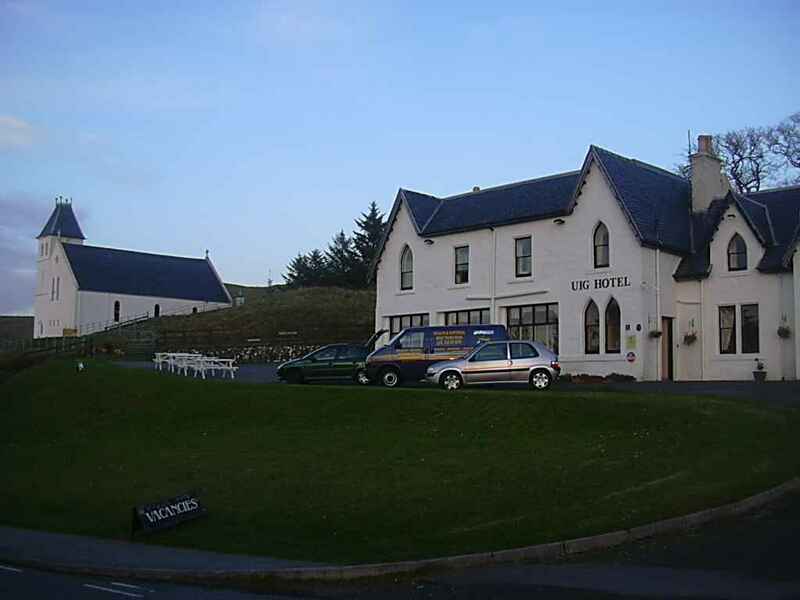 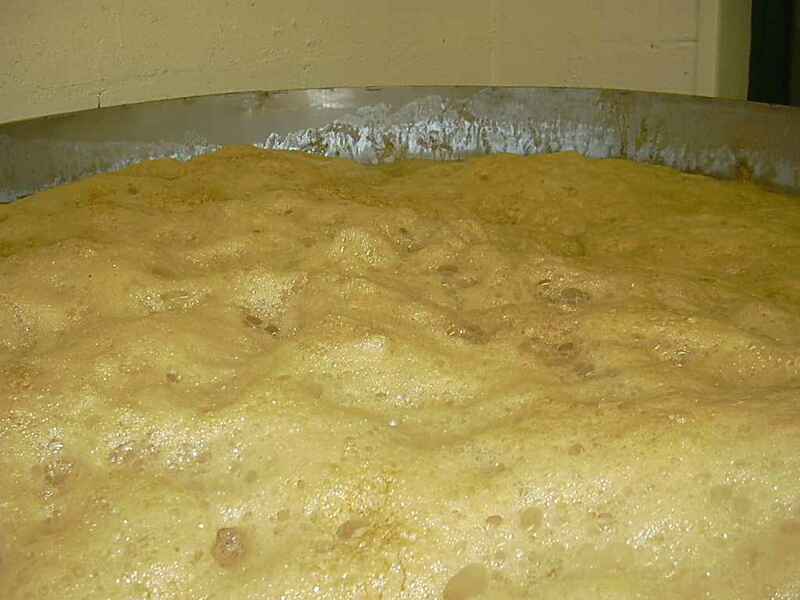 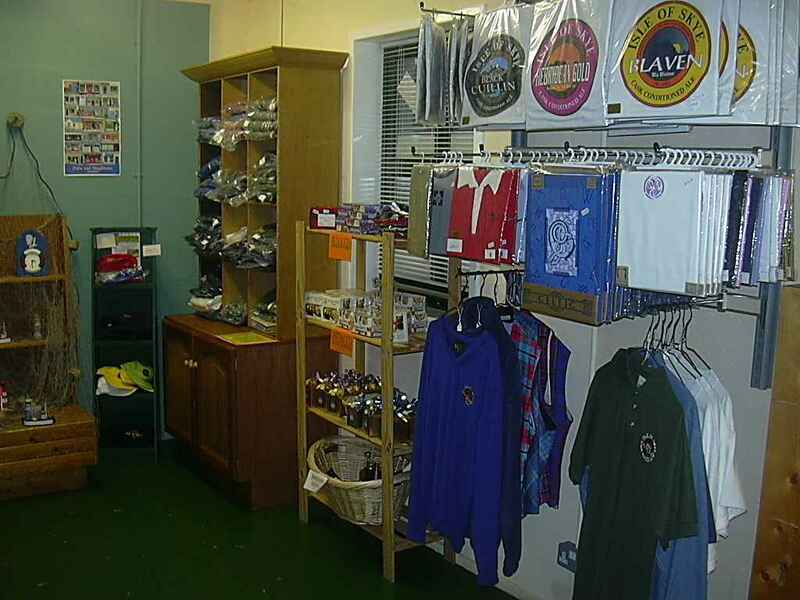 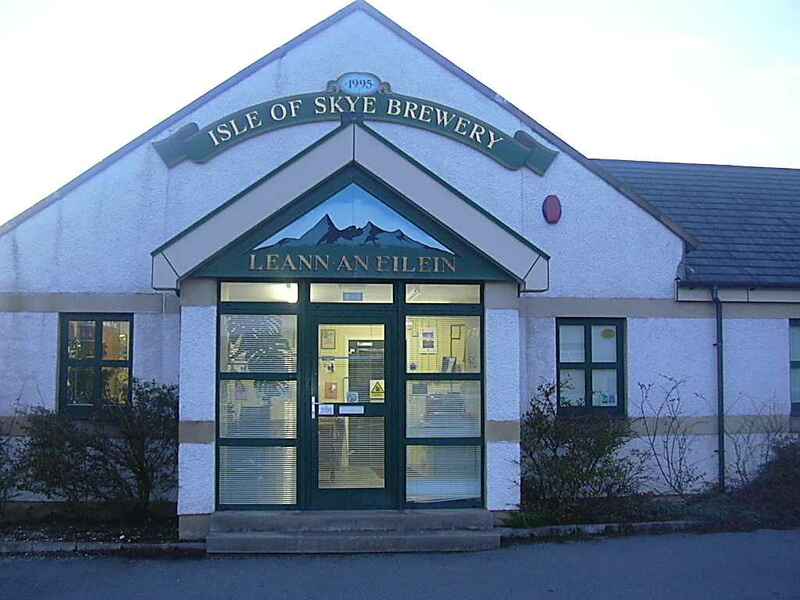 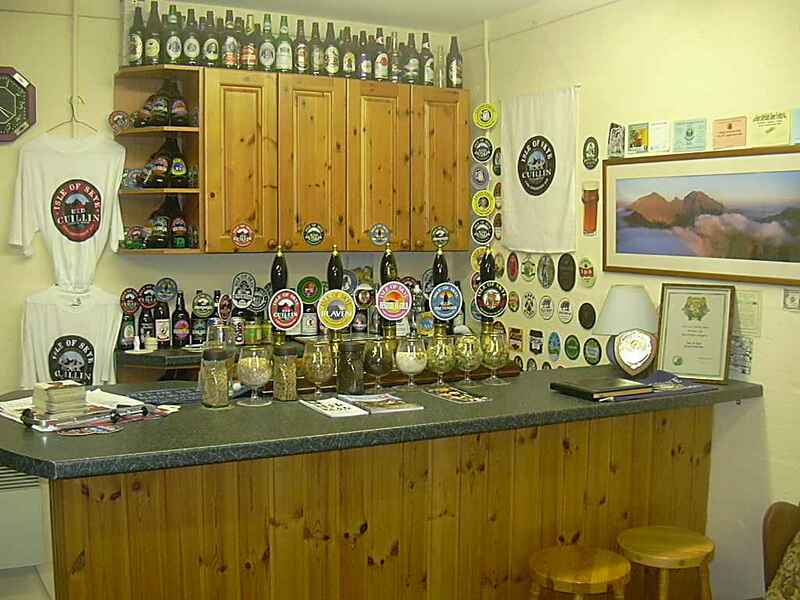 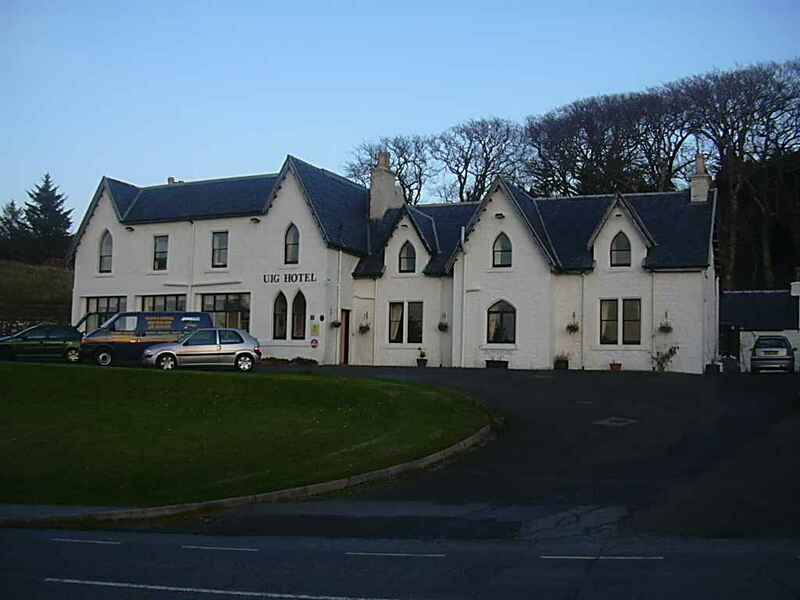 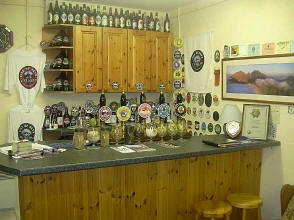 They have 7 brews and Bill at the Uig is looking to challenge his guests to "Drink the Cullin Range". 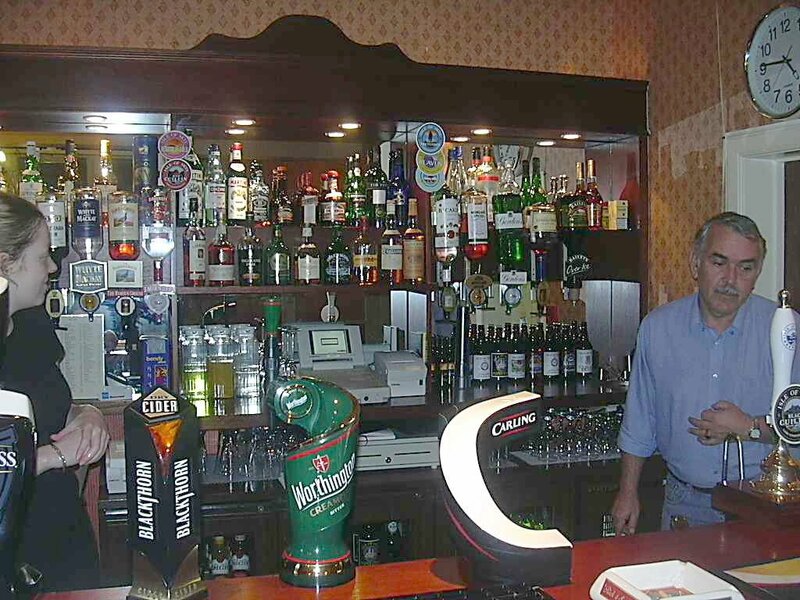 I will say that the draft "Black Cullin" was a superb drink with lots of taste. 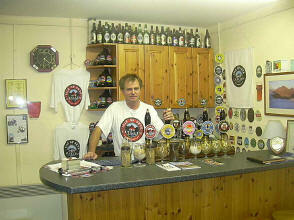 I'm told they are now bottling the range and selling it to places like Canada and Australia. And so this is the end of my Friday journey to Uig on the Isle of Skye. 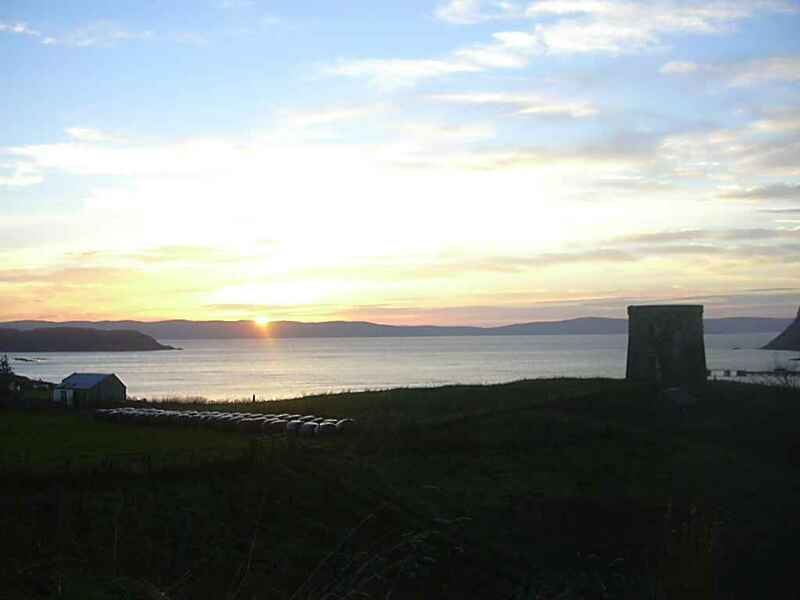 I must say I very much enjoyed the scenery on the way and the warm welcome I recieved when I arrived. 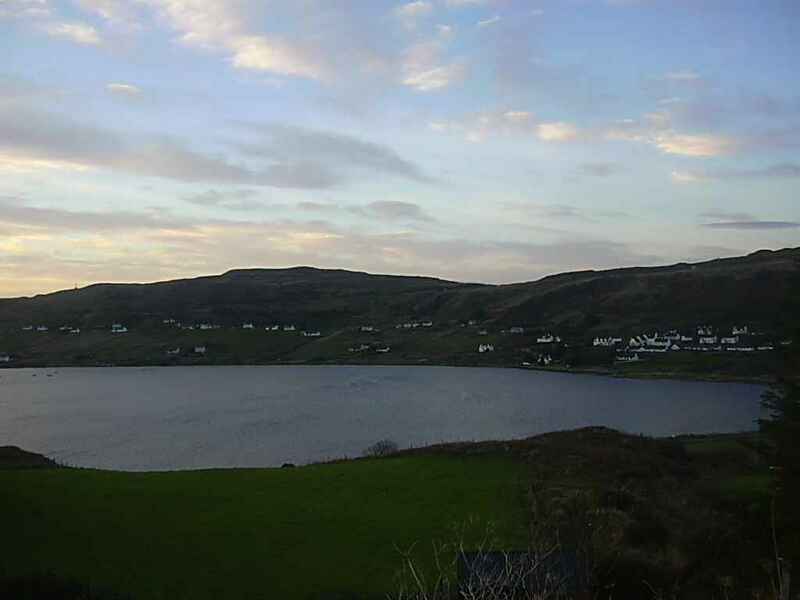 Uig is also a place where you can catch a ferry to the Western Isles of Lewis and Harris and you'll see pictures of the ferry on the next page.